9:04:00 AM Yay! found my first Graul babay this weekend and it only cost me two trip to the cloning facility. My armor is smashed but I don't care because I have a large smiling Graul to follow me around. 3:05:00 PM I'm on dantooine now, looking to go on a hunt for baby grauls after lunch. 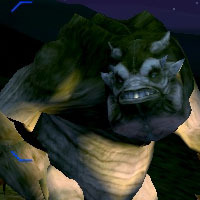 I can pull out my pets and get Graul Mauler Lair missions from a terminal (Bria server) at about levels 35-42. This particular terminal is an "enhanced job market" terminal, so the mission pays about 13,500 credits. 11:19:00 AM I spent a week looking for one of these and nothing. I like the looks of the grauls, so I ended up going to a BE for one. I would still like to find a natural one as it will make a good team with my delirious merek avenger when I reach MCH. 11:03:00 AM Took me two day but I finally found one. Tons of maulers on the 2nd day. The waypoint -5680, 6517 is wrong. But the other two are right. 3:57:00 AM too rare, *tear*. I have searched all over dantooine, and came up with nothing. Im on Corbantis. 6:18:00 AM It look me a while to find them, but it was worth it. 50% Kinetic! I found mine a little south the Imperial Outpost on Dantooine. 3:38:00 PM well they all look the same execpt for the hieght difference so it doesn't really matter. 11:00:00 PM why is the picture for this and the graul, and the frenzied graul the same? 5:23:00 AM Their 'Unknown Attack' must be open wounds or something similar then. 10:34:00 PM Babies are harder to come by than Maulers simply because there aren't missions for them. Best place Iv'e found spawns is around the abandoned Rebel base. All other types of Grauls spawn there aswell.